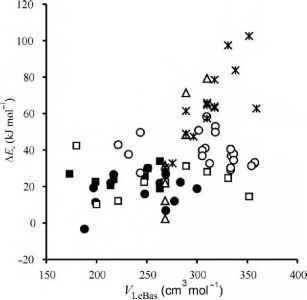 Measurements of chemical species above the pole show high levels of active forms of chlorine. However, we still have many more atoms of ozone than we do of the active chlorine, so how it is possible to destroy nearly all of the ozone? The answer to this question lies in what are known as "catalytic cycles." A catalytic cycle is one in which a molecule significantly changes or enables a reaction cycle without being altered by the cycle itself. where M represents any mediator atom or molecule needed to absorb the excess energy of the intermediate formed. In this experiment we will explore the behavior of ozone toward different reaction conditions, such as the presence of UV light and of an organochlori-nated compound.